A yacht charter can be the perfect family holiday, and hear at Nanaimo Yacht Charters we want you to experience the time of your life with your little ones. Any kind of travelling with children can be taxing, but if you follow these top tips we can guarantee you a relaxing and enjoyable yacht charter with your children. Whether your little ones are babies, toddlers, or small children, there are lots of things to consider when yacht chartering. Kids will love the chance to ride the waves on board one of our stunning yachts. This means they may be a tad more excitable than usual! They’ll just love the fresh air, the wildlife, and all the beaches and nature reserves that you could visit in and around Vancouver Island. As with any vacation, planning is critical, but even more so when you have small children to consider. Children thrive on routine and knowing what is coming up, and so make sure you create a jam-packed itinerary and perhaps (depending on their age) even share this with them, and let them have some input so that they feel as though they own this holiday with you. Now let’s break into our top 5 tips..
We touched on this briefly above but planning really is everything when taking a yacht charter with children. This isn’t just to make sure that the little ones are occupied and so that they know what is going on at all times. It is also a matter of safety. Especially when travelling with toddlers, it is key to have activities planned. There isn’t all that much space on board a yacht for toddlers to amuse themselves in a safe way like they would do on land, in a hotel, or at home. Therefore, getting onto land for a few hours each day is crucial to make sure they can stretch their legs and have the freedom we know they all crave. Perhaps visiting the beach or going shopping should do the trick. Make sure these little land breaks are scheduled into your itinerary because otherwise you can easily get caught up in the joys of sailing and forget them all together. that this is a holiday for you as well as the little ones and the family and so this isn’t always practical. Adult time is also important. Other safe places include the high chair, or for smaller infants perhaps a car seat. Somewhere they are strapped in, especially if there are bigger waves at the time. This brings us on nicely to our next tip. Make sure you invest in a clip-on high chair or table seat. It will provide peace of mind as a safe place to seat your little one whilst you are busy preparing dinner or pouring that well-earned glass of wine. It may seem like a strange purchase, but it certainly is the best way to make sure your child is safe on board. It will also make meal times a whole lot easier, and therefore more pleasurable. Now this is not to say that your child would be happy to sit there all the time, variety is the spice of life after all and this is certainly the case with toddlers! Not only is it a place to eat safely, but it can double up as a play station. Perfect to set them up with their colouring in book, toy cars, or even a simple pack of bubbles. We have heard stories of toddlers falling asleep quite happily in these chairs too, snuggled into their favourite bear for comfort of course! All the while they are safe and out of the way of all the winches, sails, and any other things that could cause them danger whilst on board a yacht charter. Following the theme of safety, tip number 3 is all about the life jacket. Floatation devices and life vests are critical for all voyages, but particularly so when embarking on a lengthy yacht charter with children and young people. It is most certainly not a fashion accessory, and therefore when purchasing life jackets for the smaller members of your family it should always be safety first, and looks later. 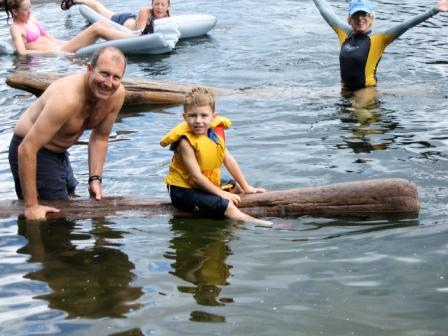 There are lots of things to consider when investing in life jackets for children. Firstly, the life jacket should be one of the types that doesn’t run the risk of coming up over the head when jumping into the water. It should be a full body design for ultimate safety. Secondly consider what else the jacket comes with. A light and whistle should be standard, but they aren’t always, and so double check for extra features like this. Next, ensure you read the reviews. Retailers will tell you whatever they want you to hear so that you buy their product over a competitor’s. Other customers on the other hand will be nothing but honest in their reviews, so check them out before committing. Penultimately, think about sizing. We tend to favour ordering online these days but that can be tricky when it comes to getting the right size for a life jacket. Measure your children, and check against the brand’s size charts. Or better yet go to a store before you travel. A life jacket that doesn’t fit properly will not work the way it should and therefore not keep your child safe. The last thing to think about is getting some sort of hoop put on the back of your children’s life jackets so that you can easily lift them out of the water should the need arise. This will make this task far easier, especially if you find yourself in an emergency situation. this isn’t the way for everyone, and therefore it is great to have food on hand for when the demands start rolling in. tension should that situation arise whilst on board the yacht or at a nice restaurant inland. It can also be easy to get a little lazy on holiday and give in to children’s sugar cravings. Part of being on holiday is eating what you want when you want, but to make sure your children still get all the nutrients they need carrying these pouches is a great idea. designated for sleep will help them settle in a new environment. For some it can also double up as a play pen, but this will depend on each individual child. for small children once they have got used to it, and the gentle rocking of the ocean can also help get them to sleep. If the routine isn’t working out, then let your child sleep whenever they want to. This will ensure you still have a well-rested child that will make for a quieter life during their waking hours. Part of this is also making sure that your child has had a fun filled day of fresh air to make sure they are worn out come bed time. So, there you have it! Our top five tips for yacht chartering with children. On top of all that remember to bring water toys, rubber rings, super soakers, and sun tan lotion! Follow these tips and you are sure to have the family holiday of a lifetime.